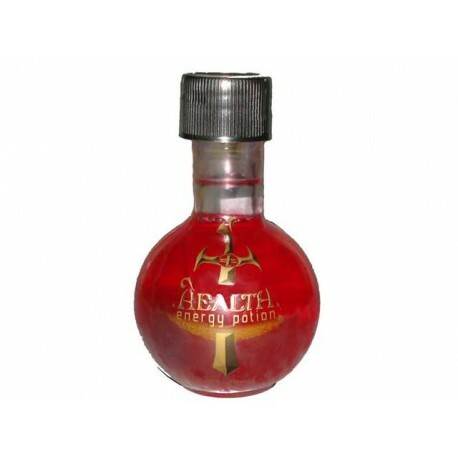 If your health is a little low then get a boost with Health Energy Potion. The latest from the makers of Mana Energy Potion the Health Energy Potion packs the same energy boost of the Mana but with a mellow apple-cinnamon flavor. 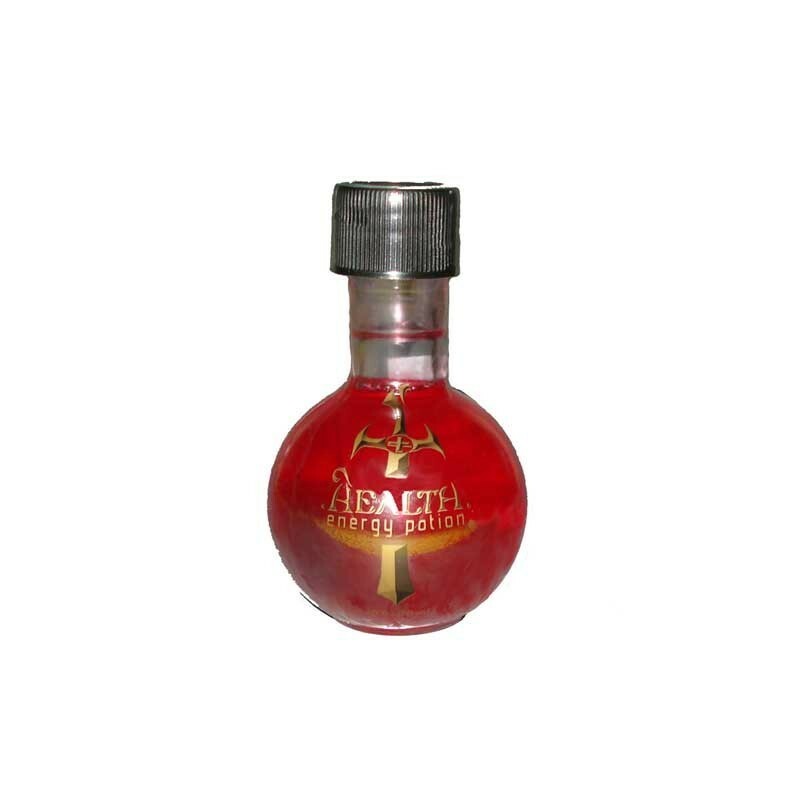 This energy potion will keep you going for a long, loong, looooong time. Health Energy Potion is sugar free, contains Vitamin C, Vitamin B1, Vitamin B6, and Vitamin B12, and is energized by caffeine, taurine and elderberry. The energy delivery is smooth with no crash, and with the equivalent amount of caffeine as TWO of the leading energy drink you can keep going for 5-8 hours easy on a single potion. All this in 50ml and only 25 calories. Not as tasty as the mana potions but just as super strong.